I feel like Oil Cleansers were very revolutionary - before everyone was scared of cleanse their faces with an oil and now - almost every popular brand want to have their own oil cleanser. By Wishtrend Green Tea & Enzyme Powder Wash is a new product in Wishtrend's offer and in By Wishtrend's portfolio. The idea of mixing low-acid cleanser and face scrub sounds like a new and refreshing idea but is it as practical as oil cleanser? What's the powder wash? Unfortunately, there's no definition in a dictionary for powder wash but if I have to make one then in the easiest words it's a skincare product related to skin cleansing and exfoliating with a texture similar to washing powder/detergent but it works completely different. I hope that at the end of this post you'll understand the nature of this product and how it works very well. To find out how this product works we need to focus on ingredients. Sodium Bicarbonate - also known as baking soda, pH balancer and exfoliator. It moderates sebum production. Sodium Lauroyl Glutamate - a surfactant and antistatic substance. Sodium Cocoyl Isethionate - a mild surfactant, delivered from coconut oil. Zea Mays (Corn) Starch - a thickener and absorber, it can absorb sebum as well as dampness. Camellia Sinensis Leaf Powder(2%) - a powder form of a green tea, it's a good exfoliator but also an antioxidant. It's also a source of Vitamin C and minerals such as calcium or iron. This ingredient has antibacterial and soothing properties. It works for all skin types - it can moderate sebum production, it can help with wrinkles as well. Lysine HCL - an essential amino acid and an antioxidant. Proline - another amino acid which you can find in a human body, it regenerates the skin but it can also help with wrinkles. Sodium Ascorbyl Phosphate - a stable form of Vitamin C, also known as SAP. Vitamin C is an antioxidant and skin brightener. 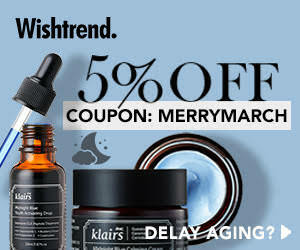 It can help with wrinkles, pigmentation and dull skin. It stimulates collagen production. Acetyl Methionine - an amino acid and antioxidant, it helps with acne and wounds healing. Theanine - an amino acid. Carica Papaya (Papaya) Fruit Extract - an emollient and an antioxidant. It prevents skin from water loss. It also brightens the skin and makes it softer. It is told that this substance helps with acne, skin brightening and it protects your skin from dehydration. Betaine - a humectant with anti-static properties. It’s a strong moisturiser that makes skin and hair soft, it also makes wrinkles more smooth. Sorbitol - a humectant and fragrance ingredient. Papain - helps with wound healing, post-acne scars and acne. It's a natural exfoliator but some people might get an allergic reaction to this ingredient. Cellulose Gum - an emulsifier and thickener. Citric Acid - a natural extract & exfoliator, it’s also a pH balancer and a thickener. It’s one of the AHA acids, it helps with pigmentation. Sodium Hyaluronate - a humectant, an antioxidant and strong moisturiser that increases lipid barrier and skin elasticity. It can help with wrinkles and pigmentation. It’s a healing ingredient so it can help with post-acne scars, inflammation and speed up the healing process. As you can see the list of ingredients is quite short in comparison to lots of products sold by different brands. It also doesn't mean that we have for careful with this product - remember that every skin is different and it can react differently. Even if this product should work for every skin type the producer advise to use this product 2-3 times per week on sensitive skin. We also have to remember the most important thing - over-exfoliating is bad. This product contains green tea powder which is a natural physical exfoliator, adding this product to the routine with any other physical (face scrub) or chemical (AHA, BHA or even retinol and Vitamin C in high concentration) exfoliator is a bad idea. Sometimes less is better, even if you've got lots of problems with pigmentation or acne. First use wasn't the easiest one - I didn't know how much of the product I need, how to use it or how to make a foam. I still can't make an impressive foam but when I mix this product with water it changes into a water with bubbles. The scent is very typical, have you ever tried matcha tea? It has this fishy smell which I think it's related to Omega-3 I can stand it but it's something about it that I don't like. I've decided to use this cleanser 2-3 times per week, it makes my skin clean and soft in touch - just like babies' skin. I feel like it makes my skin calmer but there are some things that I've spotted such as pH level - both moikobeauty and me - we've tried to check pH level and it was 6,5 to 7-8 max when the producer claims that pH of this product equals 5,5. We thought that it may be related to the water, I'm out of pH testers so I couldn't try how pH level is going to look with mineral oil but yep, I'm 100% aware that my area has a crap instead of water. I made a post to this point and I left it but before I started to write it again, I've decided to check other reviews on blogs and I saw that Denise, the author of clayandessence has the same problem with pH. Lower pH cleansers are better and the perfect pH for the skin is 5,5 but if you do not use this product every day then I wouldn't be scared of this product - just remember about the toner to balance the skin. I've noticed a small change of colour if you leave the product mixed with water for a longer time - it's a natural thing, I've tried it before with green tea soap and green leaves has turned brown when mixed with water. Does it help with blackheads? I feel like it brings them up and it's easier to remove them from the skin but I feel like I've got less gunk in my pores to remove after adding this product to my routine. If you've got acne-prone skin and you like to pop a pimple then you have to be ready - fresh wounds it's not the best area to test this product, I've tried it and it hurts a bit but after 3 minutes it was okay. My overall feelings aren't bad, it's a really interesting product with good ingredients. The pH of this product might be a flaw but if you use this product twice a week and you use a toner then it might really help you with your skin. 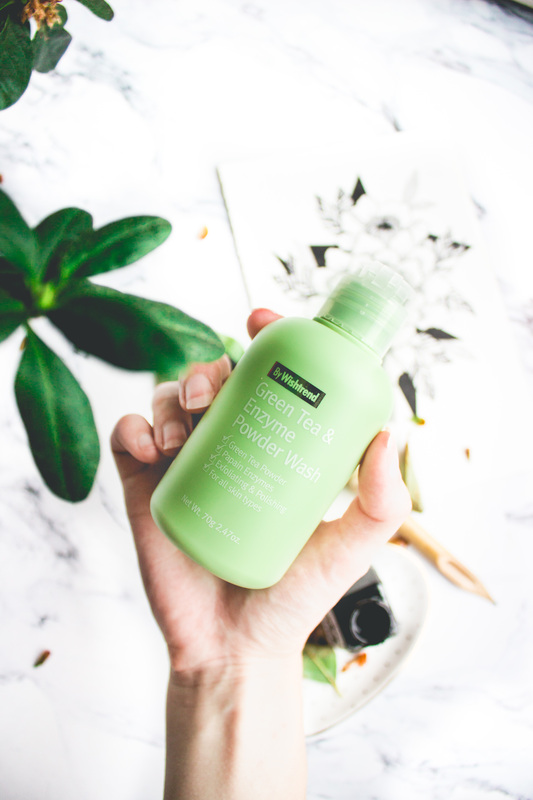 By Wishtrend has just released Green Tea & Enzyme Powder Wash, the normal price of this product is 22$/70 g but right now you can get it for 17.60$ until Nov 16. You can get this product on Wishtrend. How do you like this product? Have you ever tried any enzyme powder wash? Do you like green tea in your skincare?